I'm M?lissa and I'm french girl ! 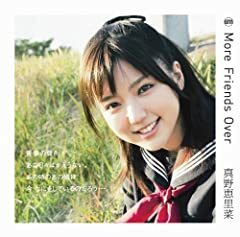 I sing Kono Mune no of Mnao Erina In 2010 ! Thank you. JDRAMA! DOn't worry subb will be up soon! Please sub and add me thanksXD!!! Disclaimer: I do not own this video. This video belongs to rightfull owners.